Just in- for Applause Tickets News blog readers-lots of excitement on Broadway this Fall of 2016. With a few Broadway Shows closing (Tuck Everlasting closed last week), American Psycho closing on Jun 5, 2016 and a few others scheduled to close in June and July 2016, that will leave some available slots for new shows coming to play on Broadway. I thought I would take a moment and fill readers in on these new productions. There are actually more shows on the schedule to play Broadway than there are available theaters. A good problem to have if you're a theater owner and want to rent out your theater to an incoming show, right? Dear Evan Hansen, a sold out show that just ended its run Off Broadway will open in November or December of 2016. This show stars Ben Platt, who plays a high school kid with his share of teenage anxieties that unfortunately get him caught up in a lie that has serious consequences, both where he lives and on-line. The show is expected to be a big hit when critics come in to review it. If you're interested in obtaining Dear Evan Hansen tickets, we'd love to hear from you and assist. Nathan Lane, a Broadway regular for the past 30 years or so, will star along with John Goodman, John Slattery and a fantastic cast in the musical revival of The Front Page. The Front Page is a 1928 comedy about news reporters that are all trying to get the "big scoop" on the next big story. The show is scheduled to start preview performances on September 20, 2016. This show should be lots of laughs. If you need help obtaining The Front Page tickets, we'd love to hear from you and help. A revival of the classic musical Singin' In The Rain, starring Derek Hough (Dancing With The Stars) will open at a theater to be announced sometime in the Fall of 2016 as well. Mr. Hough will play the role of Don Lockwood, a song and dance man of the time. The show is really a spoof of the 1920's movie era, as silent film went to sound. The story line- Don Lockwood and Lina Lamont, both "silent-screen" stars have a fallout when a chorus girl is brought into dub all of the speaking and singing parts that Lina was previously doing. 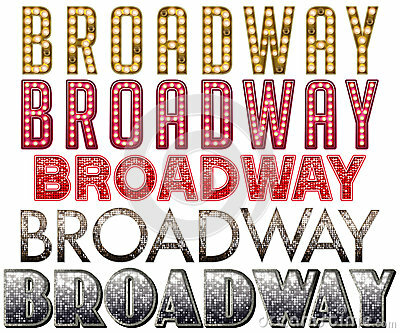 Throughout the summer months of 2016, Broadway will say goodbye to several other shows that have planned closings and my guess is that several other shows will close simply because business will not be good enough to continue running them. Some are hanging on now simply because they're hoping to win some Tony Awards on June 12, 2016 and possibly boost their business. One of those shows is Bright Star, the Steve Martin musical, a really solid show that takes place between the 1920's and 1940's, in the "deep south". I loved Bright Star but unfortunately the show isn't selling enough tickets to break even these days. It's a shame that running a show has to cost so much but the real estate alone in the New York City theatre district is exorbitant for sure. I hope you enjoyed today's Applause Ticket News post on Broadway Shows. If you need to talk Broadway, I hope you'll consider a call to my company, Applause Tickets. Enjoy Broadway Theatre, in my opinion there's nothing like live entertainment. Cheers to the current Broadway Shows playing now and to those that have closed recently and good luck to the incoming shows. Break a leg!